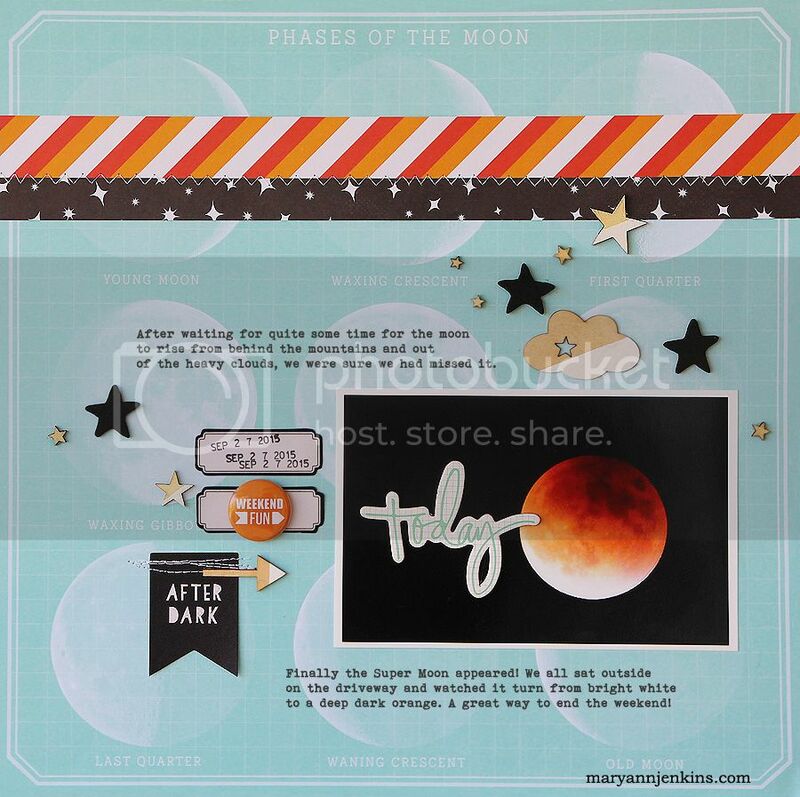 When I bought this Dear Lizzy paper with the phases of the moon on it, I thought it was fun and different, and wanted it to add to my stash. I had no idea at the time how perfect it would be for this layout! 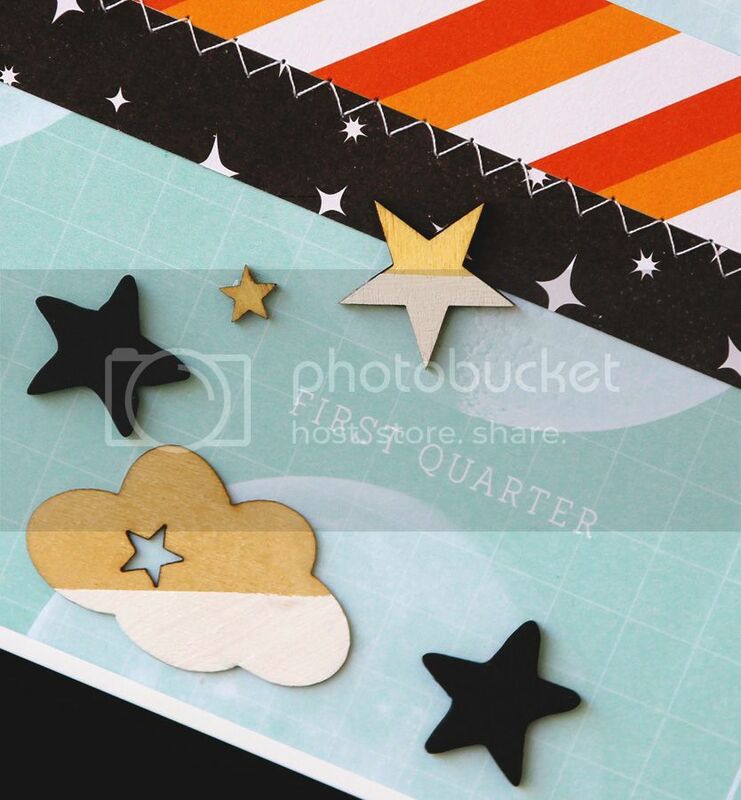 I added embellishments from Crate Paper's After Dark collection, along with Dear Lizzy's star Thickers. 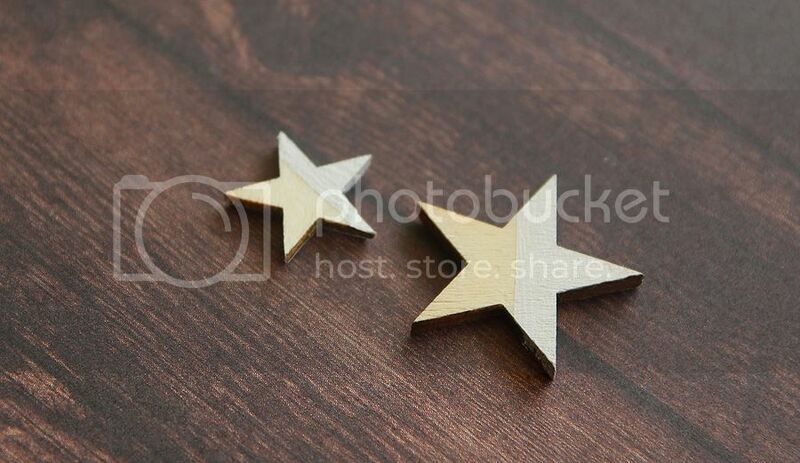 I also added the cute wood veneer clouds and stars that I painted with white paint for a color dipped look. To get the look, I used washi tape to tape off a portion of the wood veneer, painted, then removed the washi. 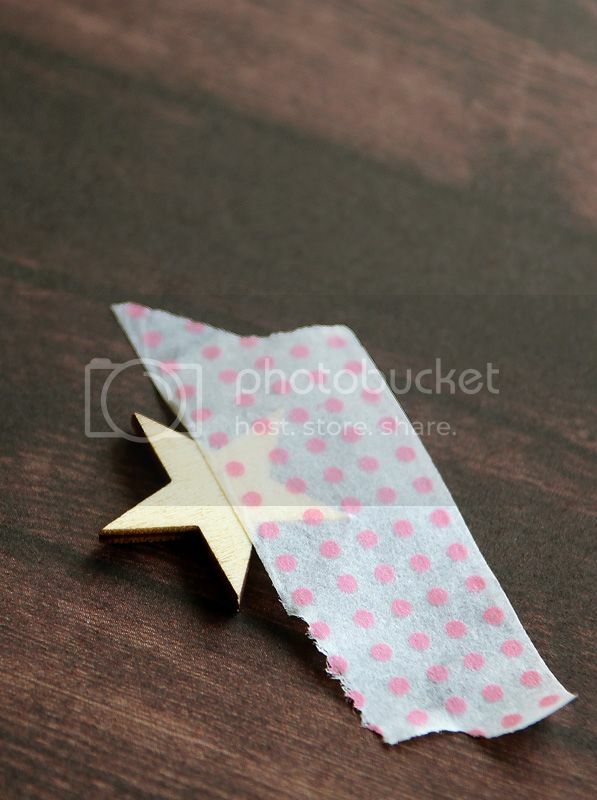 Using the washi tape leaves a nice crisp edge. I really like the look of the painted veneer, and especially like how quick and easy it is to do! OMG... Mary Ann, I love your page about this event, such a nice way to immortalize it. My pictures did not turn out well. Yours is beautiful, clear and shows the lovely color. very interesting layout, and yes, perfect paper. Hugs. PERFECTION ON A PAGE but I would expect nothing less from you. You rock! This rocks! Love, love, love!